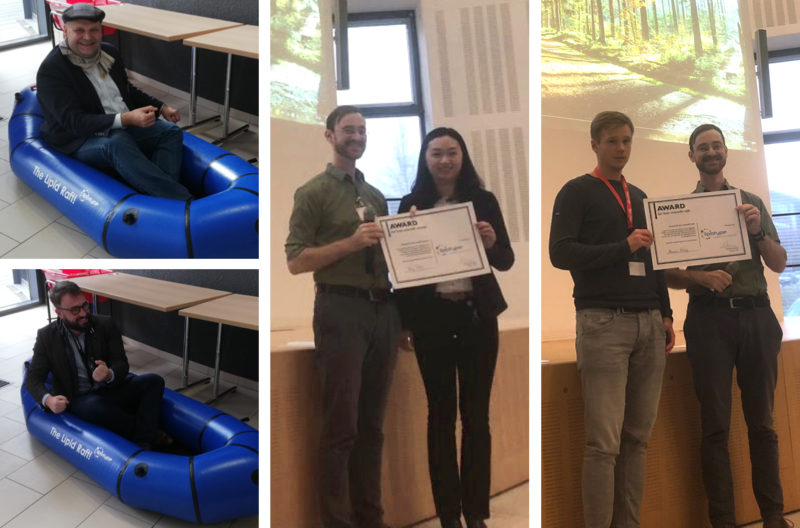 We proudly present the winners of best poster and best scientific talk award at the Lipidomics Forum 2018. The Lipidomics Forum is a joint effort of the ISAS Dortmund and the Research Center Borstel. The annual symposium is a series of conferences on lipid biology and lipidomics to provide a platform for international acknowledged scientists, students, and young researchers to interact. It does not only cover current research highlights but also offers tutorials on selected methodical topics. The Lipidomics Forum has become a home for Lipotype. Besides a shared scientific background, we strive for the same goals such as global scientific excellence and exchange. This is why Lipotype began attending and supporting through awards the conference many years ago. The best poster award was won by Bing Peng (middle). She researches blood platelets and their lipid composition which is critical for platelet integrity and functionality. She could show, that the lipidome changes upon platelet activation. Congrats, Bing Peng! The best scientific talk award was won by Marcus Höring (right). His work aims at the intestinal lipid metabolism and the influence of gut microbia. He made use of isotope labeled fatty acids to achieve that. Congrat, Marcus Höring! Dr. Ronny Herzog, Head of Software Development and IT-Infrastructure, and the awardees. Dominik Schwudke (top left) and Robert Ahrends (bottom left) have been organizing the Lipidomics Forum since its beginning. To say thank you, we gifted both a rafting weekend. We are certain, they will have as much fun as we have with our lipid raft.